Formerly known as the revivers of the holy spirit that is (or was) 90’s alt rock, Grooms finally steps off the ledge they were teetering on and take the plunge into their synthy side. 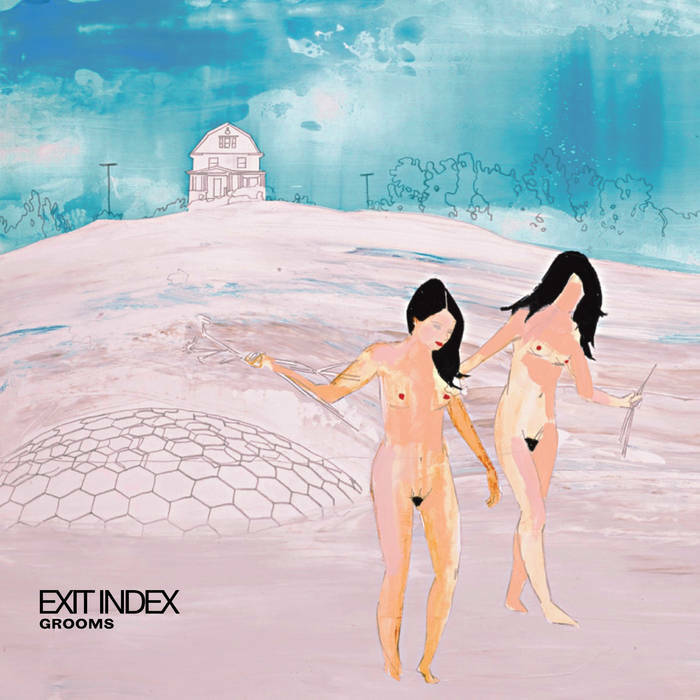 Their fifth release, Exit Index, shows that they can dive headlong into long synth fills while maintaining their stronghold in the alternative realm by effortlessly lending layer upon layer of guitar, drums, and bass, with countering electro-pop effects. Ripples of solid-body sound seems to flow gently over a pixelated pool, a duality that is concentrated in “Magistrate Seeks Romance” and “Some Fantasy.” Opening track “The Directory” has a peering quality to it, and a minor tonality that sets up the hazy yet uneasy mood that runs through the LP. Grooms has bred a sound that puts you in a place where everything feels unfamiliar, an atmosphere of guitar riffs in varying degrees of fuzz that makes you want to squint at the sonic landscape and go, “what am I doing here?” Fifth track “End” starts off with a synth bit that likens to an 80’s horror theme, perfect for putting you into the Halloween state of mind. This album is definitely a step away from the styles of their previous works, and surely a dip into the more serene side of life, but still maintains elements indicative of their sound: their upbeat bass runs, creative use of guitar sounds, and rich walls of sound in each track.